The opportunity for ambition loops to accelerate investments in support of sustainable livelihoods, transparency, and resilient supply chains is immense. 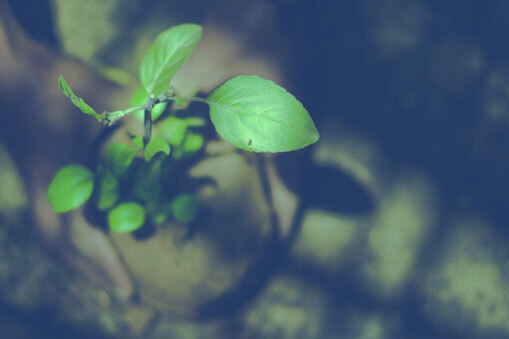 Countries have an increasing number of partners among companies that are supporting net-zero deforestation and landscape restoration, with partnerships among businesses and governments in countries ranging from Ghana and Côte d’Ivoire to the United Kingdom. Europe is a major consumer of palm oil. Investors, consumers, and civil society groups have pressured companies to eliminate unsustainable practices from their palm oil supply chains for many years. As a result, hundreds of major companies have made public commitments to source palm oil only from certified sustainable sources. Multiple stakeholders came together in the Roundtable for Sustainable Palm Oil (RSPO) which in November 2007 approved principles and criteria. Previously, there was little governance, visibility, or verification for the sustainable practices of palm oil. Note: The RSPO brings together stakeholders to “transform markets to make sustainable palm oil the norm.” It involves influential representatives of stakeholders in the palm oil industry: oil palm producers, processors or traders, consumer goods manufacturers, retailers, banks and investors, and environmental and social NGOs. By November 2015, RSPO-certified palm oil accounted for more than 90 percent of all palm oil imported into the United Kingdom. In December 2015, the United Kingdom and five other major consuming European countries came together with a joint statement of support for 100 percent sustainable palm oil supply chains. They emphasized that “private sector driven” commitments inspired their statement of support. With increased transparency and assurances, more companies and countries are stepping up with bold commitments to grow palm oil sustainably. Both Ghana and Côte d’Ivoire aim to increase cocoa production while protecting forests. In 2015, Côte d’Ivoire initiated a crackdown on illegal cocoa plantations that pose a risk to their forests and set goals to increase the percentage of land covered by forests in the country from 12 percent to 20 percent. The Ghanaian government is similarly working toward improving livelihoods and restoring degraded land. Market-leading companies — including Cargill, General Mills, The Hershey Corporation, and Mars —have made ambitious commitments to eliminate deforestation in their supply chains. They are driven both by reputational benefits and business interests in securing a resilient future supply of commodities such as cocoa. In November 2017, the governments of Ghana and Côte d’Ivoire partnered with non-profit organizations and 35 companies representing approximately 80 percent of global cocoa usage to launch the Cocoa and Forests Initiative (CFI). CFI aims to prevent any further deforestation from cocoa farms while increasing production in a sustainable manner on the existing farms. As part of the initiative, governments will complete the mapping and data collection by the end of 2018. This will inform a clear CFI framework of action and determine specific strategies to address deforestation.